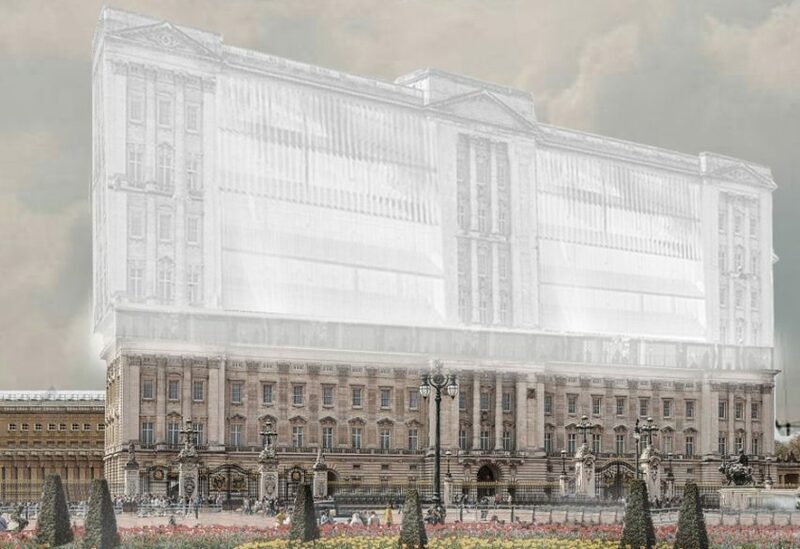 Opposite Office has proposed redesigning and extending London's Buckingham Palace to create the Affordable Palace where 50,000 people would co-habit with the queen. The Munich-based architecture practice has written an open letter to the queen, asking that she consider sharing her palace with those less fortunate. The architecture studio's concept would turn the royal palace into a co-living development as an innovative solution to London's housing crisis. "With its 775 rooms and 79 bathrooms the population density is not representative of the rest of London, and Buckingham Palace is waiting for repurposing," said Opposite Office co-founder Benedikt Hartl. "The rooms are awash with sparkling candelabra, sumptuous carpets, marble columns, sculptures, and expensive artworks," continues Hartl. "So why not use this existing structure to fight the housing crisis?" 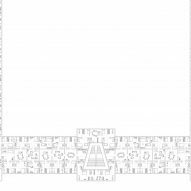 Taking the palace's existing dimensions, Opposite Office imagine a multi-story extension on top of the palace building. Private single and double bedrooms would open on to shared dining and living rooms, in one huge co-living system. Up to 50,000 people could be re-homed in this way, Opposite Office estimates. Folding screens and walls could be used to repurpose the spaces according to residents' needs. Eight dramatic staircases and lift cores would descend through the historic palace so the queen can mingle with her subjects-turned-housemates in the communal areas. The Affordable Palace project could also be a good PR move for Britain's royal family, Hartl suggested. "The refurbishment and extension of the Buckingham Palace will draw great media attention to issue of affordable housing, whilst improving the social standing of Buckingham Palace," he said. Designers have been coming up with various concepts to try and address London's housing crisis. Engineering firm WSP has suggested building housing blocks over railways in the city, while developer Cube Haus commissioned Adjaye Associates to design affordable modular homes.